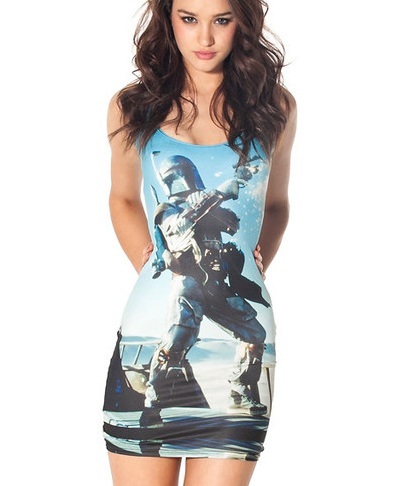 Australian label Black Milk Clothing has a deal with Lucasfilm to create a series of Star Wars Collections. The latest collection is out now and it captures key moments from the films (frozen Han!) on dresses, leggings and swimwear. Hat tip ComicsAlliance, which has more details about the line and the behind-the-scenes video below.